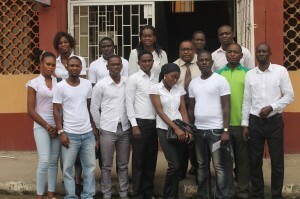 On Wednesday, 16 September 2015, Spaces for Change’s Ndutimobong Enang led ten (10) youth representatives from different communities in the Lagos Mainland affected by the spate of violence and gang clashes to a meeting with the officials of the Lagos State Ministry of Youth and Social Development . Out of the 10 youth representatives, three (3) were girls. 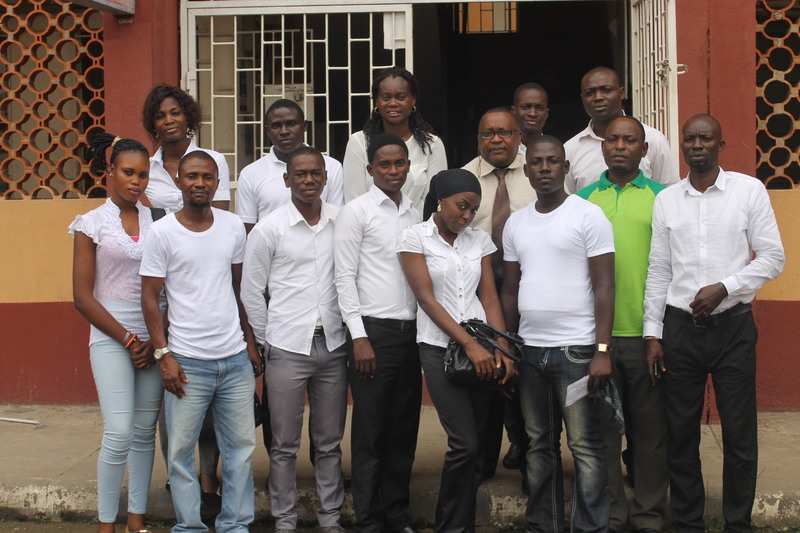 The meeting was facilitated under the auspices of Ifesowapo Youth Initiative. 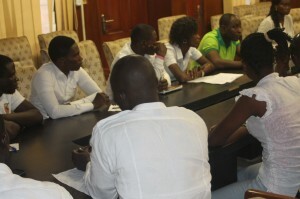 The meeting brought community youth representatives – that do not usually have opportunities to for face-to-face dialogue with the government – in a close quarter encounter with state officials to ventilate their views on important issues of urban governance, particularly, the recurrent situation of violence in Lagos Mainland. During the meeting, the youth representatives stated elatedly, that this was the first time they were ever having an opportunity to engage and interact directly with government representatives on issues that affect them as young people living in places labelled as slums and informal settlements. Victor Abdulrahman, the leader of IYAN, a local youth movement in Ebutte Metta in Lagos Mainland wanted the Lagos State Government to fast-track its response to violent crimes by empowering the youth economically to keep them off the streets and away from violence. Mr. William, also of IYAN, cited illiteracy, the lack of information and exclusion of community youth in conversations about urban governance as some of the challenges the youth in Ebutte Metta are facing. “We just want the government to give us a voice, rather than labeling us off as criminals,” he said. Joel Sunday, a representative of the Rural-Urban Development Initiative (RUDI) described the different categories of youth in the Lagos Mainland Area that could benefit from targeted empowerment schemes. Among them are the very educated, the artisans and unskilled, and thus, those who have no skills at all should be targeted and empowered. Youth can only stay away from crime when they are productively engaged. Joel Sunday believes that the information gap could be bridged by means of regular sensitization and state-community interactions like this one. Hassa Ganiyu Ayodeji wants government officials and leaders of the various communities including Baales and the chairmen of Community Development Associations (CDAs) to be carried along in the design and execution of state-led youth empowerment initiatives. Shittu Abideen, representing the Action Against Ignorance and Illitracy, (AAII) detailed his organization’s efforts to counsel and empower community youth through training, but sustained sensitization was necessary. Ahmodu Shehu of the Mainland Youth Association advocated for security reinforcement in the vulnerable neighbourhoods, and mentoring for young people, with greater focus on educational activities. He believes that the politicians are the main drivers of the escalating violence in Lagos Mainland. Still speaking on security, Babatunde Bola of the Okada Riders Association lauded the efforts of the local vigilante groups, and wants the state governor, Akinwunmi Ambode to donate a part of his monthly security vote to the vigilante groups. He also called for better coordination and collaboration between the security operatives, the vigilante, police, and other community security formations. The vocational centres should be revived to enhance youth employment. Areas such as small scale manufacturing (soap, food items), trading and skills acquisition, should be prioritized. The vocational centers should establish strong linkages with the digital villages and state libraries. The State Library should be open to community youth in the Mainland as they are now being denied access. The government should consider providing trainees with stipends to support their savings to buy their own equipment. Cultural day celebration should be observed to help showcase the rich cultural heritage of the different ethnic groups in Lagos Mainland. This will also provide opportunities for the youth to showcase their talents.